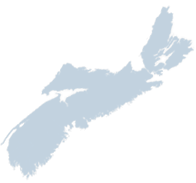 A visual comparison of the number of parcels by Town's in Nova Scotia. Building permit data for Statistics Canada Building Permit Survey (BDP) Section B: Minor Residential Additions and Renovations. Section B includes all permits for minor additions and renovations, that is, those of a value of less than $50 000. An area depiction of waste collection service provision boundaries by day of the week.